Wow! It was my expression when I discovered in the evening of April 15 my son was learning the alphabet capital letters from his teacher and not from me. In that week, his teacher was working on the alphabet letters with different activities. I thought it will be good to take out our foam alphabet letter to play in the bathtub and reinforce what his teacher was doing during the week. When we started to put the letter in alphabet order after the "letter A" I gave Tommy the "letter B" and he began to sing "beeh, beeh, beeh" with he tune of the alphabet song. I was surprised because I have never taught him the alphabet capital letters or their names –I have been doing the letter short sounds with animal lowercase letters from the Zoophonic program. I took the letters and I asked him: Which one is the letter A, the letter B, the letter C...? Until the letter G because he didn't want to continue. He chose the right letter every time I asked him. On April 26th, I discovered Tommy could recognized more capital letters of the alphabet during bath time, too. So I took the next 7 letters and he recognized all of them. He got a little confused with the H letter, but he named J, K and L after me. By that Time, my boy recognized 14 capital letters name that he learned in the classroom. Early in the morning of May 8th, after I did Tommy's Asthma treatment around 5:45 am, I thought it was a good time to play with Sesame Street Alphabet Cards because we both were fresh and we couldn't sleep anymore. For my surprise, Tommy recognized the whole alphabet. Before I discovered he recognized the alphabet, I was thinking it will be confusing to teach him the alphabet letter names because I have been teaching the letter sounds first, but in lowercase. Everything worked out better than I could expect. We are extremely proud of our little man who keeps exceeding our expectations regardless his genetic disorder. He is learning wherever he goes, even his communication barrier don't allow us to know how much he knows. 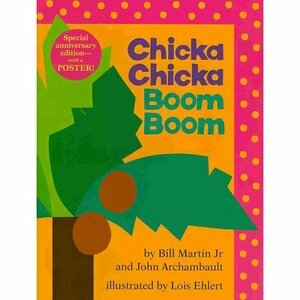 The book that Tommy's teacher uses to teach the alphabet is Chicka Chicka Boom Boom. She told me this book has been a hit in her class. So I am reading this book to Tommy once an while to reinforce the alphabet letters and I point to the letters while I read. I am also singing the ABCs songs. I am glad God gave me the skills of 'observation' because I always discover when Tommy is accomplishing a milestone or has learned something new regardless his communications barrier. I always knew the path to raise my child would be different, but not less rewarding. for her dedication and passion for teaching a world of knowledges to her students.